Around 1919, the Kansas State Historical Society and the American Legion solicited biographical information from returning veterans (primarily members of the 35th and 89th infantry divisions) and the families of those who died in service, notably from the Gold Star Mothers. Each veteran or family member was asked to provide letters, photographs, a biography, and military records. 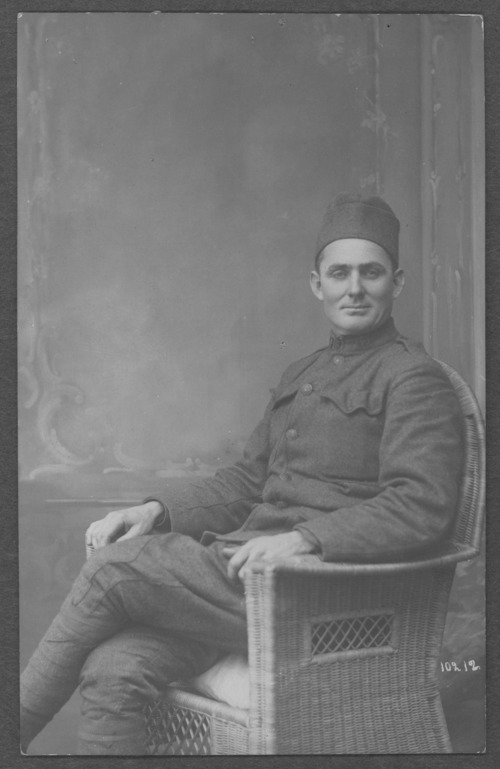 This file contains information on Ralph Prewett, 314th Mobile Section, 89th Division. Ralph died in the camp hospital in France on May 5, 1919, from injuries he received in a motorcycle accident on April 27, 1919. He was born in Walnut, Kansas, on December 3, 1887, and grew up in Weir, Kansas.